"You better be ready to bloody run." Goldfinch Studios has released a new UK trailer for an indie comedy titled Dusty & Me, a feel-good family film about a boy and his dog. The film was once titled Against the Odds as well as Slapper and Me, but is now being released as Dusty and Me. The plot is about an 18-year-old misfit who befriends a lightning fast Greyhound, comically named Slapper by his older brother. The dog is dognapped by thieves, so Dusty and his love-interest go on a mission to find and rescue Slapper. 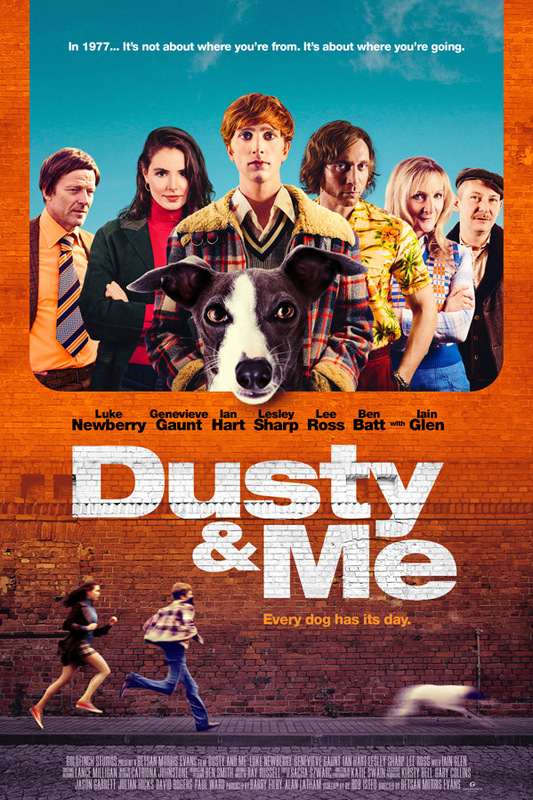 Dusty & Me stars Genevieve Gaunt, Luke Newberry, Iain Glen, Ian Hart, and Lesley Sharp. This definitely looks as bad as it sounds, but I have a soft spot for dogs and dog movies, so I'm posting this anyway. Enjoy. A feel-good, heart-warming film set in Yorkshire in 1977 about an adolescent boy's big summer after leaving school. It's about a boy and a dog, class and ambition, first love, and above all, family. Dusty & Me is directed by British filmmaker Betsan Morris Evans, director of the film Dad Savage previously, as well as lots of TV work directing dramatic series. The screenplay is written by Rob Isted. This first premiered at the Tallinn Black Nights Film Festival in Estonia back in 2016, and has been awaiting release ever since. Goldfinch Studios will finally release Dusty & Me in select UK theaters starting September 28th, then on VOD in October. There is no US release date set yet. For more info, visit the film's official website. Curious?